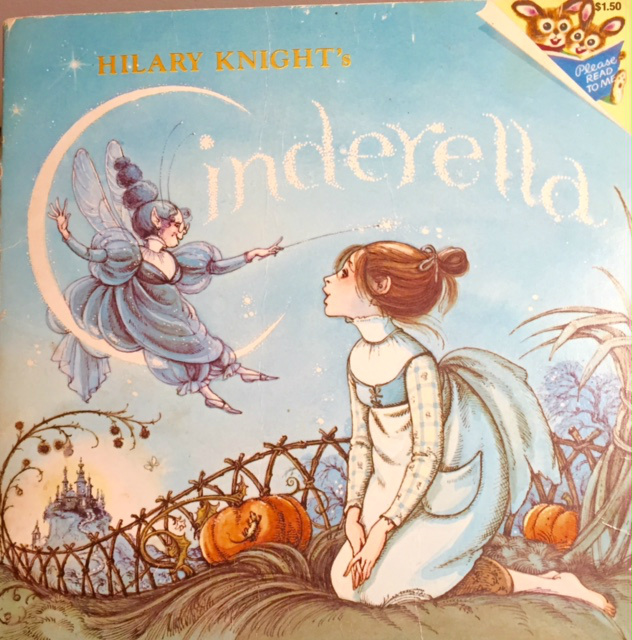 Cinderella, a screenplay adaptation of Charles Perrault’s original fable was written over 20 years ago. Had a soft spot for and sought out any and all versions of the story. Between libraries, bookstores & yard sales, there’s a surprising number of retellings out there; trust me, I’ve read most of them. (The market will always bear another Cinderella story, it's undeniable, everyone loves one.) Somewhere in the midst of all that intake, the idea started formulating for the screenplay. Much of the story came to life through music, unfolded while listening to one composer in particular, Gustav Holst. His music and the story are a perfect match. When you're done reading, hit the link above, the music makes the moments. From the first ten seconds of imperial strings in Holst's St. Paul's Suite ~ Jig: Vivace, with the title, Cinderella, scripting across black matte, glidding in time to the vibrant dance between the strings and bow, to the dip in tone as the violins usher a fade-in to the bustling life within a stately castle, the music brings the fable to life. It presses on, flying out the door in a soaring aerial of the breath-taking English countryside, to that last four powerful seconds with the aerial pushing into 7 year old Jane/Cinderella, sitting in her second story window seat, waiting for her new mother and step-sisters to arrive. It's a "noteworthy" vision. This second link takes you to Holst's St. Paul's Suite, H 118, Op. 29 -3. Intermezzo. Listening to this masterpiece brings the transformation scene to life with sheer joy, that all-important moment when the strings emerge again and send 17 year-old Cinderella in search of a pumpkin. Her Godmother, introduced in Cinderella’s childhood scenes, brings the devastating news of her terminal illness. Now ten years dead, inexplicably, she stands before Cinderella and the miracles begin. Holst’s strings build the elation as each component of the coach is gathered and created. The pizzicato measures paint the utter joy of a loving child who has known only burden and heartache, but now finds herself dashing through the grounds of their handsome cottage gathering the unique requests of her Godmother; steps that will alter her life forever. The strings announce the jubilant transformation, piece by piece, to the euphoric flash of the dress and glass slippers. After being sent on her way, the strings push on, building to the crescendo, the stunning gilded coach, speeding through the night to the castle. Six white stags, hooves pounding with power and grace to the music, racing the countryside, delivering a radiant Cinderella to her destiny. Transformed in her miraculous journey ~ beautiful, beyond words. A magical transformation, a memorable movie moment. With no bites on the script 20 years ago, (after advice from a Fox exec it had been told too much,) I shelved the idea and moved on to the next script. Until recently. Signs the story has found it’s time have been convincing, was compelled to dust it off. There's more to this story, as a writer, I’m a serial editor; have a hard time stopping. The book I have on Amazon went through 13 drafts. My blog is worked and reworked before it ever hits hypertext transfer protocol. I’m particular and a profectionist to a fault. Was sure when I opened the script after 20 long ones, I'd be spending the next year cleaning it up, but that wasn't the case. Beyond adding two scenes, the screenplay was solid in the original form. Seriously, that's impossible. Can only conclude, Cinderella, has a life beyond my shelf. Good things come to she who waits. It’s a real Cinderella story. Unfortunately, the formatting of Final Draft is lost in pasting the text, this is not industry standard. Opening music, (JIG: VIVACE, from Gustaw Holst's ST. PAUL'S SUITE, H. 118) the title CINDERELLA is scripted in a flourish of calligraphy on a black matte, in time to the music. The music continues to play over a series of shots depicting the bustling life within the castle: Title fades out, fade up on various shots, e.g., meal preparations in the kitchen, a sculary maid tending fires, a Butler arranging bottles in the wine cellar, and a LS from behind a servant as he walks down a large hallway with a tray in his hand. The CAMERA TRAVELS down the hall with him and pulls into a shot of him from the front before it SWINGS OUT THE FRONT DOOR for a SERIES OF AERIAL SHOTS. The aerials: once swiftly around the castle to show the grandeur of the structure; over the surrounding countryside, houses, farms, rolling hills; then finally pulling up (this is timed right up to the last note of the music) to a young girl sitting on a window box seat, looking out a second floor window of a country cottage. (JANE, 7) spots a coach coming down the road. They’re coming! Papa, they’re coming! Jane runs down the stairs, excited. Papa, they’re here. I saw the carriage coming down the road. Well, let me have a look at you. Jane steps back and twirls, holding her dress out at the sides. They’ll not be received by a lovelier young lady. She hugs him in pure joy. Oh Papa, how wonderful, we shall be a family again. Yes, and you, my little love, will no longer have to spend such long months alone. Beatrice, the town-crier tells me that Lady Hampstead and the children have arrived. Would you please have Jonathan see to their bags. Are you ready to meet your mother and sisters? He offers his arm to Jane and escorts her to the front door. I think it very bad of you to have treated me this way, I should have been at the wedding. You shall have to be punished. And what punishment am I to expect, madame? No ships! You shall have to stay home with your family for the rest of the year. That is a punishment I would gladly accept. Unfortunately, little one, it’s not possible. I know, Papa, but promise me you won’t talk of any voyages today. He bows and opens the door for her. The coach pulls in front of the cottage as they exit. The (LIVERY 20s) jumps down and opens the door for the passengers. The young ladies, (MARGARET, 11 and ELINOR, 9) exit the coach and immediately start brushing the wrinkles out of their dresses. Father walks over and offers his arm to, (LADY HAMPSTEAD, 30) as she steps out of the coach. I had no idea you lived this far out into the country. Forgive me, my dear, I should have been more specific. I trust your trip was not too uncomfortable. Let me allow you a more comfortable setting for introductions. He escorts her into the house. The two sisters follow, walking past Jane without acknowledging her presence. Jane follows all. Lady Hampstead scrutinizes the cottage as she enters, taking in every piece of furniture and decoration. Father leads her to a sitting room, she sits on a couch and the two girls take their place standing behind her. Father sits in a chair to the side of Hampstead and motions for Jane to come stand next to him. There is a moment of awkward silence. Go on. This is my daughter, Jane. Jane steps forward and positions herself in front of Lady Hampstead. Welcome home, Mother, we have anxiously awaited your arrival. I hope you will be well pleased here. I find no more pleasure than in a disciplined youth. I trust you understand me? Good. Then we shall get along famously. These are your step-sisters, Margaret and Elinor. Girls. The girls take turns making their introductory statements. You are to address me as Miss Margaret. I am eleven years old and am no longer inclined to childish behavior. I am versed in French, music and poetry and when I am studying I am accustomed to complete silence. I believe these endeavors to be of great value and will not tolerate an interruption of their pursuit. If you have questions on any of these matters, you may come to me for advice. Father does his best to hold back laughter. You can just call me Elinor. I’m nine. And I don’t, under any circumstances, eat foods I don’t like. Father bows his head in respect to her statement, again suppressing laughter. Beatrice enters with a tea tray. She sets it down in front of Lady Hampstead. Ah, Bea, I can always count on you. Lady Hampstead glares at Beatrice. Before you pour, let me make introductions. Lady Hampstead, this is our beloved, Beatrice. She’s more than just our governess, she’s been with us since Jane was born and she’s a member of the family. This house could not be run without her. You speak too highly of me, Sir. It’s a pleasure to meet you, Ma’am, I’m here to serve. Good. These are my daughters, Margaret and Elinor. You can begin by pouring the tea. Beatrice pours tea for the ladies, as she pours, she addresses Father. John is tending to the bags, Sir, and Martha is preparing dinner. She will be in presently. Thank you, Beatrice. Well, my little love, why don’t you show the girls their room. Jane walks toward the exit, but the girls do not follow until their mother tells them to. The three of them exit. Correct me if I’m wrong, madame, but you seem in an ill humor today. Come sit with me. (He does) You must forgive me for seeming abrupt. It has been a long day and the travel made me irritable. In a few days we'll have settled in and all will seem as normal. I’m afraid that’s all we have. I tried to avoid it, but I've received my commission. I leave for port in three days. It was to be expected. How long will you be gone? They estimate the trip to be six months. No. I’ve promised not to spoil her day. I’ll talk to her tomorrow. Jane sits on her bed while the other two snoop around. This room is so much smaller than ours, why did you pick this one? I’ve only just moved into this room. We knew you’d need a bigger room to share. And you didn’t mind having to move out of your room? No, why should I mind? This room is lovely. Well I minded having to move here! I’ve had to give up the best teachers in London to come here with the cows and pigs. Oh, no, you’ll like the country life, you’ll see. I thought it was awful when we first moved here too, but it really is very lovely. Is everything always “lovely” with you? Why did your father move you out here anyway? We moved here after my mother died. The two sisters are standing relatively close to each other, there is a moment of awkward silence. Margaret walks over to the vanity and picks up a sterling silver mirror, of a comb, brush and mirror set. The three pieces were sitting side-by-side. Elinor walks over to see the mirror. Margaret lifts the mirror high over her head to keep it out of Elinor’s reach. Elinor jumps to get her hands on it and knocks it out of Margaret’s hand. The mirror falls to the floor and shatters. Lady Hampstead stops to admire herself and primp in the hall mirror. She hears Beatrice and Jane talking in an adjacent room. It was rather quick, but your father did what he thought was best. I wish I could have been in London for the wedding. Jane and Beatrice stand next to a small table in the study. Your father’s work doesn’t leave him much free time and everything had to be arranged around that. If he’d had more time off, he would have had you there. I know. I still wish I could have been there. I think they don’t like me because I wasn’t there. No, darling, your not being there has nothing to do with it. It’s not that they don’t like you, having a new family just takes a little getting used to, that’s all. Beatrice takes Jane in her arms and holds her close. She looks worried. I miss Papa, I wish he hadn’t had to leave so soon. Lady Hampstead is tight-lipped and resolved. Jane is seated at the table, Beatrice stands over her, opening an assignment book. Papa thought I wouldn’t be lonely anymore, but now I feel even more alone, if it wasn’t for you, Nanny, I don’t know what I’d do. Lady Hampstead appears in the doorway. Beatrice, I would like to have a word with you. Young lady, you may go to your room. Jane exits with a frightened glance at Beatrice. We will no longer be in need of your services. You will be advanced six month’s pay, that should be more than sufficient until you make other arrangements. Gather your things immediately, I’ll call for the coach. She turns to exit the room, Beatrice’s comment turns her back. I needn’t bother to ask if your husband knows about this. I am running this house now. And, by the way, you are to leave the house without speaking to anyone. Lady Hampstead exits. Beatrice has no recourse but to do as she is told. Lady Hampstead talks to the elderly stable hand, (JOHN, 60s) Music over this and the next scene through Jane’s last tearful shot at her window. Lady Hampstead enters Jane’s room, Jane is sitting in her window box looking out the window. She turns abruptly when she hears her step-mother. There will be new bedroom arrangements. The girls are too cramped in one room together. Since you are the youngest, you will move to the attic room and Elinor will come into this room. Gather your things. Lady Hampstead turns to leave and turns back. One more thing, Beatrice will no longer be with us. Well don’t just sit there, gather your things. I’ll have Adella bring linens for the bed. Jane spreads the quilt on the bottom of her bad and starts gathering personal belongings from around the room on the blanket. At the vanity, she picks up her mother’s brush and goes again to the window. John has pulled the coach around front and waits for Beatrice. A young scullery maid, (Adella, 20) beats an area rug draped over a clothesline. Lady Hampstead exits the back door, interrupting her work. Adella, stop what you’re doing and come here. Adella stops beating the rug, puts the flat wooden baton on the ground and timidly approaches Hampstead. Adella, do you read and write? When you’re done here, take linens up to the attic bed, Jane is moving into that room. Then you are to go into the study, Margaret will be waiting there for you. I need a list of all the chores you do on the two days you’re here each week. Just recite them, one at a time, and Margaret will pen the list for you. Have I done somethin wrong, Mum? No. Actually, you’re very good at what you do. So good, you may have the rest of the week off, with pay. Adella looks grateful but suspicious. John loads Beatrice’s suitcase and she stows a hat box and a small personal bag next to the luggage. She turns and looks up to see Jane sitting in the window. Jane sees her and puts her hand on the window as if to touch Beatrice one last time. Beatrice rises her hand toward her, then catches a tear before it escapes. Jane sits in the window box, with her hand on the window. Silent tears stream down her face. Jane knells beside her bed saying prayers. The attic bedroom is sparsely furnished and has only one small window on the far wall. ...and bless Nanny and keep her safe. And help us both that we don’t miss each other too much. And bless Margaret and Elinor, and Step-mother too. Amen. Jane climbs into bed and dims the oil lamp on her side table. In the yard outside a small barn, a rooster crows with the morning light. Jane wakes with the sound of the rooster and sits bolt upright in bed. Confused, she looks around trying to remember where she is. She realizes she's in her new room, hugs her knees in close to her chest and buries her head. Jane enters the dining room and her Step-mother and the girls are just finishing their breakfast. Forgive me, I must have slept late today. Jane sits at the table. We’ve eaten early. We’re travelling to London to bring back our new governess. A woman of far more etiquette than your Beatrice. Yes, and I knew we should have brought her with us when we came. And now I have to make the trip back to London to get her. While we’re gone, I have a list of things I want you to do. Lady Hampstead hands Jane the list and the girls snicker. Girls! Go and gather your things.